Theatre shows a very Tudor inspired men and women's wear couture line at Siam Paragon's Couture Fashion Week. For the full show and other shows at Fashion Week, visit W5 Magazine's Facebook Gallery. 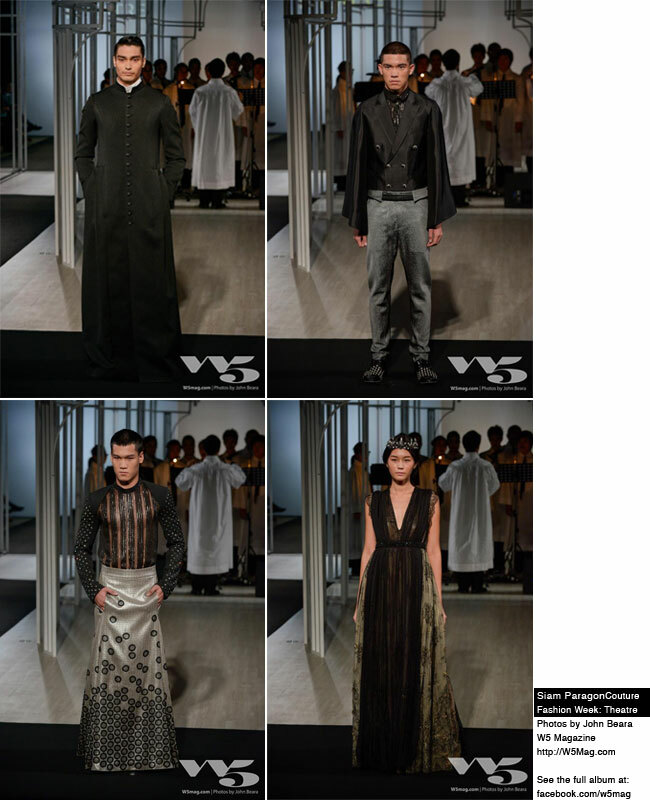 To see all the looks, visit the Theatre show gallery on W5 Magazine's Facebook Page.